I have been an avid fan and player of the game of golf for many years now, in fact I’m reaching senior golf status. I went out and got me a set of Adams Woods and irons which I was told would be good for my slower swing speed. I was out at the driving range one day with a buddy of mine who is very familiar as me as far as height, weight and overall fitness and I was watching him hit ball after ball with his driver. He asked me if I wanted to hit a couple balls with it, of course I could not resist. I started hitting balls right down the middle, I don’t think I had quite as much distance but the accuracy was uncanny. The next day I purchased one and I have been saving out least two strokes a round. The Best purchase I ever made. The Taylor Made 2017 M2 Driver has brought the average golfer to a new level of golf as far as accuracy and forgiveness with just about all their drives. The M2 Driver has totally raised the bar as far as design and engineering. The M2 Driver comes with a Fujikura Pro XLR 8 shafts with four different flexes and a dual-textured grip for great feel throughout the swing. It is also available in 9.5, 10.5 and 12 degrees of loft. 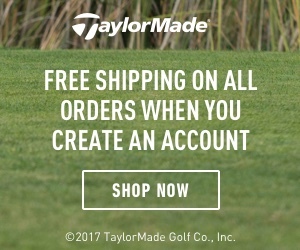 I would highly recommend the Taylor Made 2017 M2 Driver to anyone who would like to take their golf game to an entirely different level. Don’t be left out and get your M2 Driver now. Thanks for the review Robert. I am currently using borrowed sticks but I feel it is time I started investing in my own. I have been looking around the net, investigating various reviews and trying to get some idea of what is available. For a new player would you recommend this driver? I am just wondering if I need to spend $299 on one stick or maybe I would be better off buying my own full set (but would need to be a little cheaper). Your thoughts appreciated as always.